The Revel VLS 2 1/16 in. 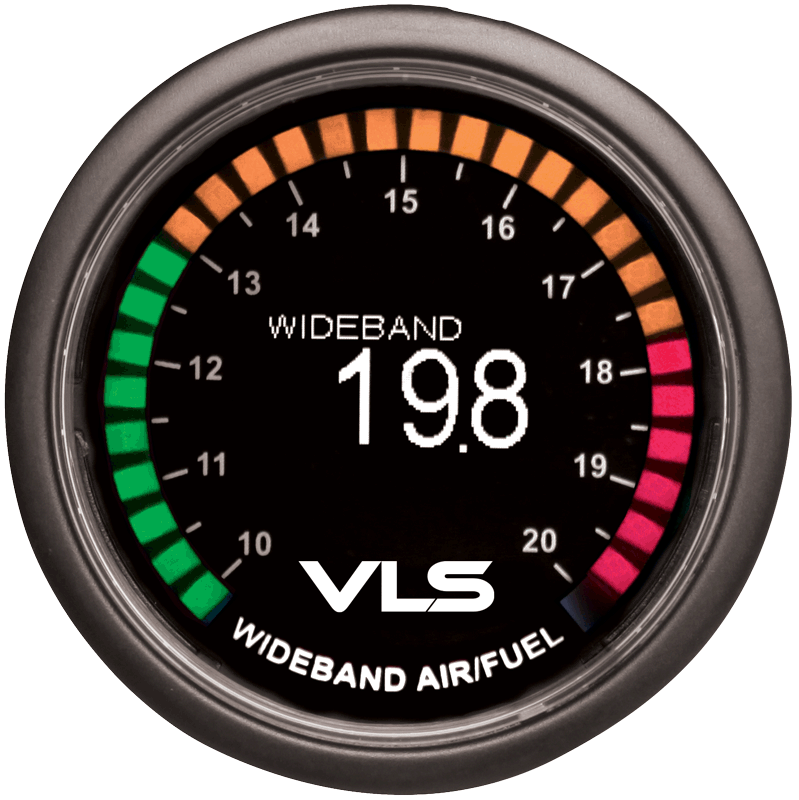 (52mm) gauges allow you to keep tabs on the engine’s vital signs while minimizing the time spent looking away from the road. 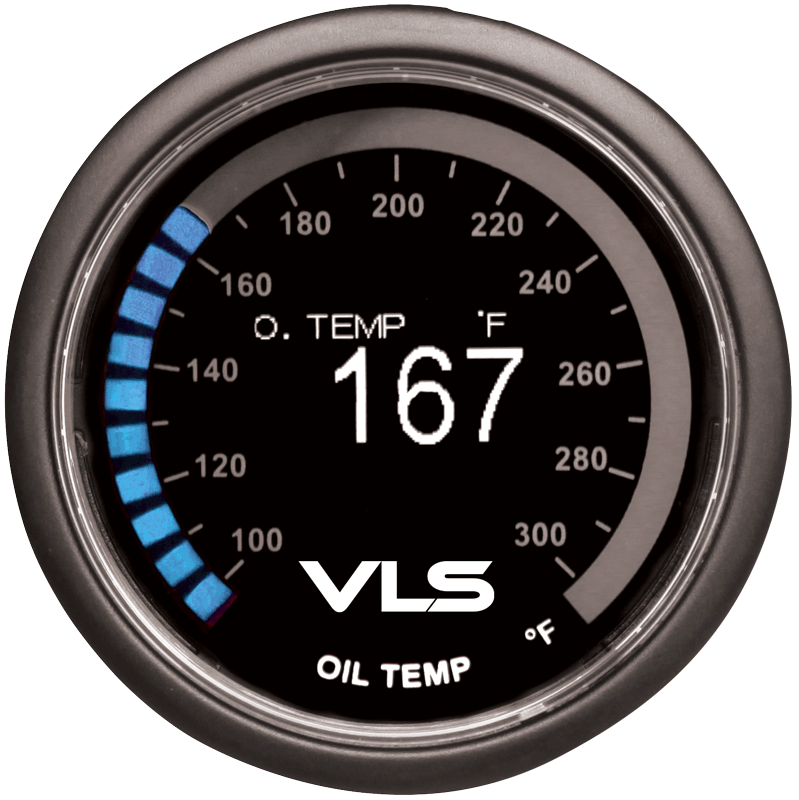 The OLED display used in the VLS gauges provide a crisp, clear display that does not require a backlight, which allows for an ultra slim profile that maximizes versatility and encourages creative mounting solutions. 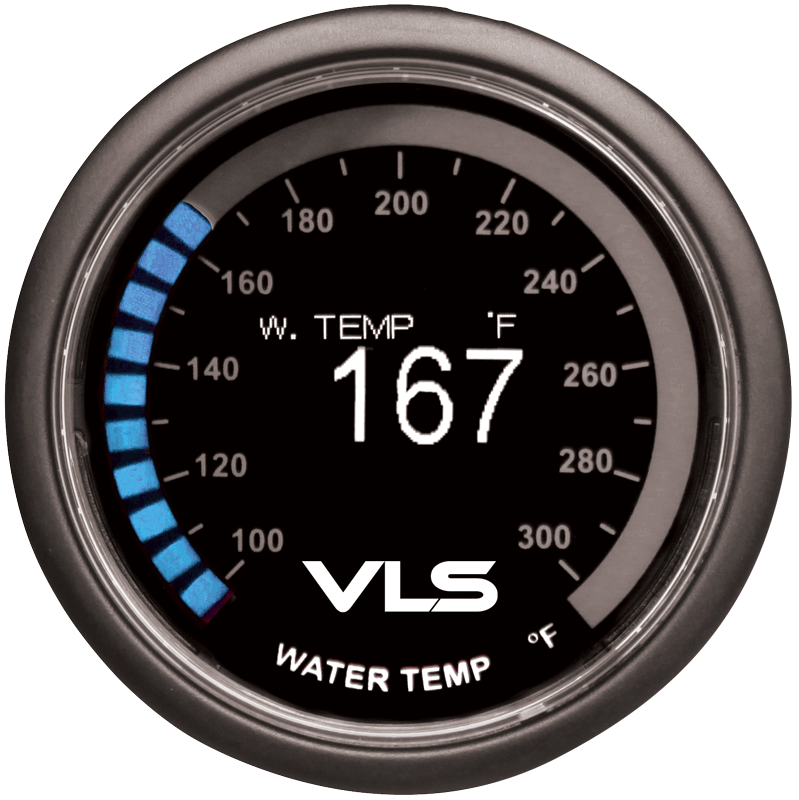 The numeric OLED display is accompanied by an LED ring around the perimeter of the gauge for readings at a glance. 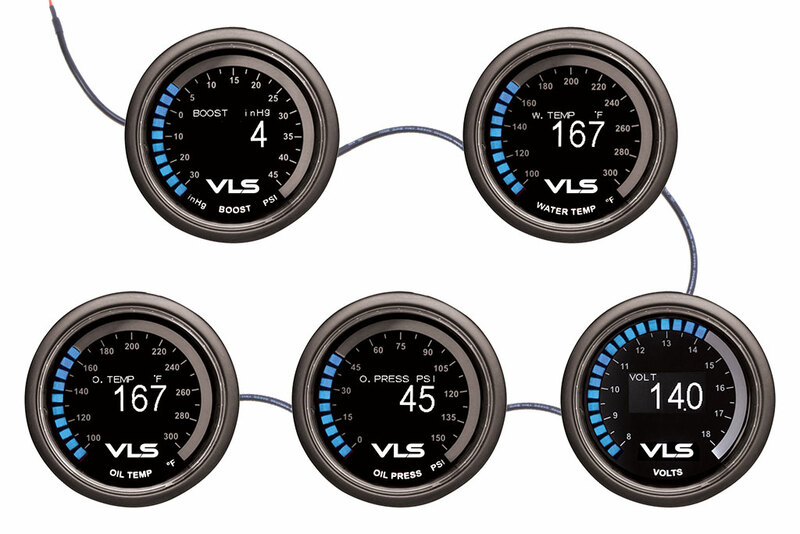 Revel VLS gauges have been designed to connect in sequence, minimizing wiring to keep your install clean. 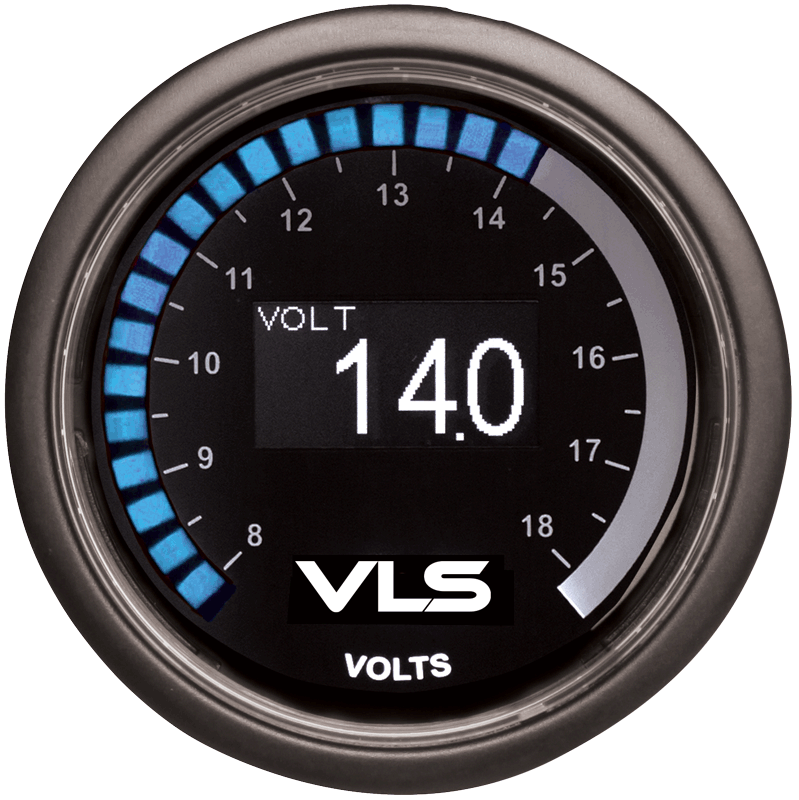 Once the first gauge is connected, adding another is as easy as plugging in the provided harness to the original gauge and routing it to the additional gauge – no need to connect each gauge individually to power. 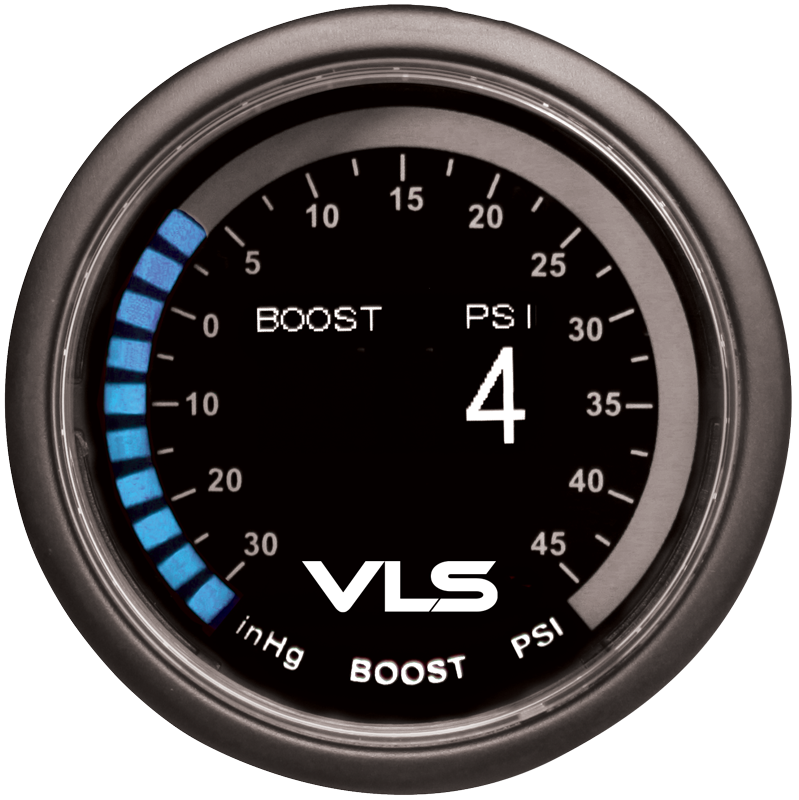 *Note: VLS Wideband A/F gauge and VLS Intercooler Dual Temp gauge are not daisy-chain compatible units. 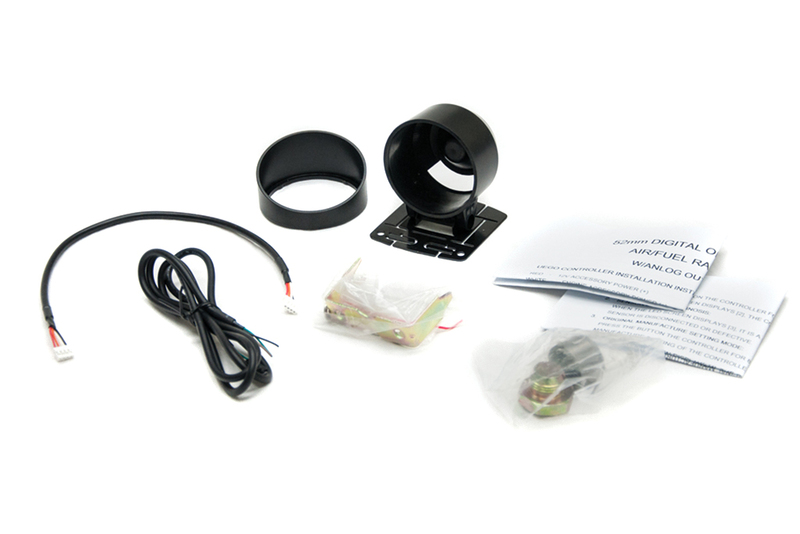 Each gauge comes packaged with the associated sensor(s), sun shade, mounting bracket, instruction manual, and all necessary wiring to make the installation process as simple as possible.